You know how it is with almost anything the US Federal Government touches? The further one gets away from the scene of the crime – in this case the Macondo Prospect in the Gulf of Mexico (GOM) – the more reality comes spilling out. Concerning the BP oil spill, it was only a matter of time that the verified facts would start to seep out from those scientific research institutions whose only purpose was to unravel the truth. Gulf Coast fishermen and tour boat operators, restauranteurs and store owners, hoteliers and motel owners all began to ask how such a decision could have been made while the well was still gushing. Likewise, state government representatives, county officials and city commissioners all asked the very same questions about the safety of the seafood coming from the GOM. As did Gulf Coast residents and vacationers, boaters and tourists, and curiosity-seekers of every stripe and color. Everyone wanted to know whether fish from the GOM, especially the shellfish from the northern Gulf region, was safe to eat. After all, the health and welfare of an entire culture revolves around seafood and the industry that produces it. 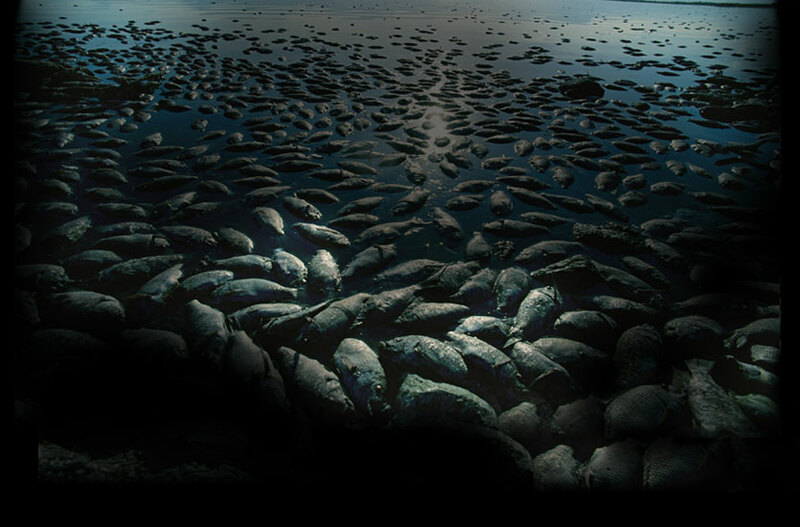 This mass of dead fish was discovered in the Bayou Chaland area of Louisiana in 2010. According to a government-posted test result list, of the more than 78,000 EPA/NOAA reported lab tests conducted in August and then December of 2010 along the Gulf Coast, only 6% of those listed detected any concerning oil compounds and most of these curiously showed significantly lower concentrations of oil-related toxicities than the MPB published study. In a Press Release dated August 15, 2013 the following disclosures were made by one of the key researchers. “Dr. Paul W. Sammarco, the lead scientist on the paper from the Louisiana Universities Marine Consortium (LUMCON) in Chauvin, LA, pointed out that, “given the approximately 100-300 million gallons of oil spilled and 1-3 million gallons of Corexit dispersants released, the results from this study are not surprising”. If ever there was doubt about the veracity of data and information coming from the EPA, NOAA, FDA and the Coast Guard regarding seafood safety, the MPB report serves to support those doubts. It should also serve as a caveat to all of those consumers who have been unwittingly eating seafood from areas of the Gulf where such levels of potentially unsafe toxicities have been and are still strongly suspected. 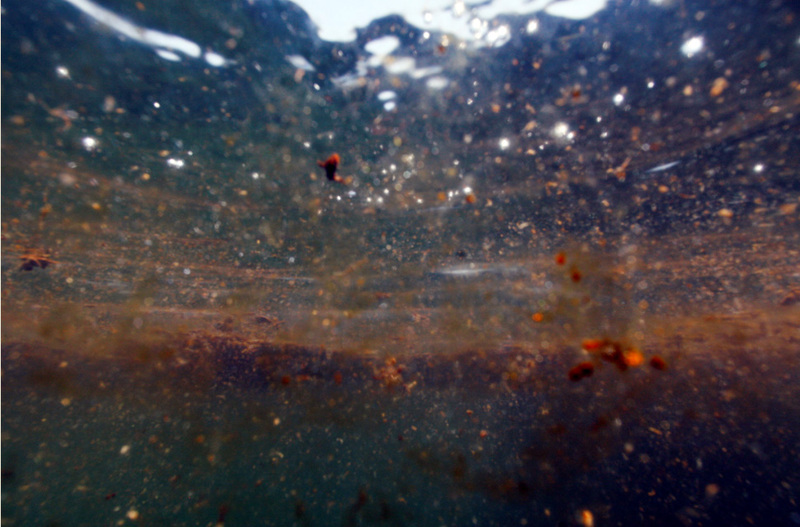 During the spill in 2010, as scientific research began to show that the chemical dispersants being used to remediate the oil were compounding the toxicity of the oil, adversely affecting human life and the entire eco-system, Gulf Coast advocates and media reports alleged that the EPA arbitrarily modified their tables and measuring standards changing to significantly higher levels than the established “safe thresholds” for human exposure to oil, Corexit and dispersant/hydrocarbon-generated toxins. 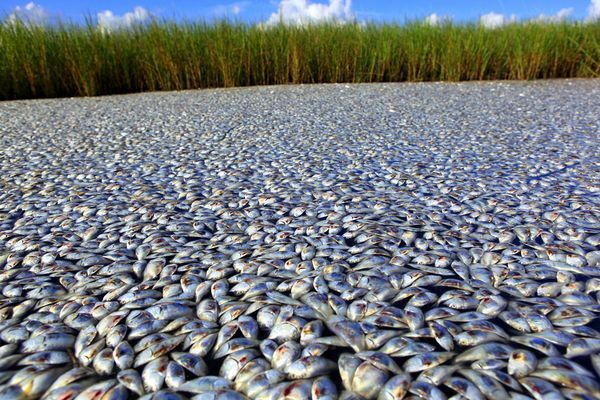 This single modification was enough to allow the EPA to justify approving the continued use of Corexit against the good advice of scientists, state and local government officials, environmental experts, healthcare professionals, attorneys, and many stakeholders who populate the GOM coastline. “We have spoken to numerous concerned citizens in the Gulf who are outraged that the government continues to hold its ground that ‘no further clean up is necessary’. It is interesting to note that the team of highly credible scientists who researched and co-authored this paper received no funding for their work on this. They did it as a public service because they wanted to ensure that the public has accurate information because the test results issued by the government were startlingly different than what these scientists were observing.” said Barbara Wiseman, International President of the Lawrence Anthony Earth Organization (LAEO). LAEO has taken a lead position in developing new standards for how oil spills should be addressed throughout the water bodies of the world as seen in their recently released position paper. The repercussions of the MPB-published science paper are already beginning to be felt throughout the Oil & Gas Industry, US Federal Government, as well as the Gulf Coast Community and the entire Southeast US. The most definitive conclusions will certainly impact current court cases against BP and open new litigation in Texas. Finally many answers should be forthcoming as to why the fisheries were opened before there was 100 percent certainty it was safe to do so. “A collaborative team of independent scientists has just released a research study of various toxic compounds associated with the BP oil spill in the Gulf of Mexico (GOM). The evidence confirms that concentrations of polycyclic aromatic hydrocarbons (PAHs) found in the GOM during and after the BP oil spill reached levels higher than those considered safe for marine life and human exposure. Evidence shows that concentrations of PAHs found in seafood samples were up to 3,800 times greater than thresholds considered safe for human consumption by the U.S. Environmental Protection Agency (EPA). The data used in the independent study is based on samples taken across several media—seafood, fauna and flora, sediment and water—collected in the GOM from the south coast of Texas to west coast of Florida between June, 2010 and November, 2010. The science paper’s findings cast strong doubt upon the veracity of EPA and NOAA testing methods and, therefore, on their test results. Dr. Sammarco indicated that those familiar with the government testing methods and laboratory protocols have suggested that the preponderance of “non-detect” readings reported by NOAA was probably due to a “techniques issue”. It can now be stated with a scientific basis, that decision-makers and local concerned citizens ought to err on the side of caution when human health and the welfare of the coastal communities are at risk. If the BP Gulf Oil Spill taught us anything, it is that government will always serve the interest of industry before it will look out for the well-being of the affected citizenry. Unfortunate to say, but now a grim reality. After all, when between 6.1 and 8.7 million barrels of oil were spilled and millions of gallons of Corexit dispersants were released, the government’s test finding showing primarily ‘non-detect’ or insignificant results seems highly unlikely. Actually, describing such a government-generated result as virtually IMPOSSIBLE would be more accurate! To be fair to the scientists who have generously made their study open source material, the opinions and conclusions expressed herein were not endorsed or authorized by any of the scientists who co-authored the Marine Pollution Bulletin – published study cited here. Nor are the sentiments presented in this post representative of the Lawrence Anthony Earth Organization’s opinions, except where quoted directly from their material.